We were in the two weeks leading up to Caroline’s little sister being born. We knew she was going to die (she had trisomy 13). Emotions were high (to say the least). We did the best we could to explain to Caroline that her sister would not be coming home. 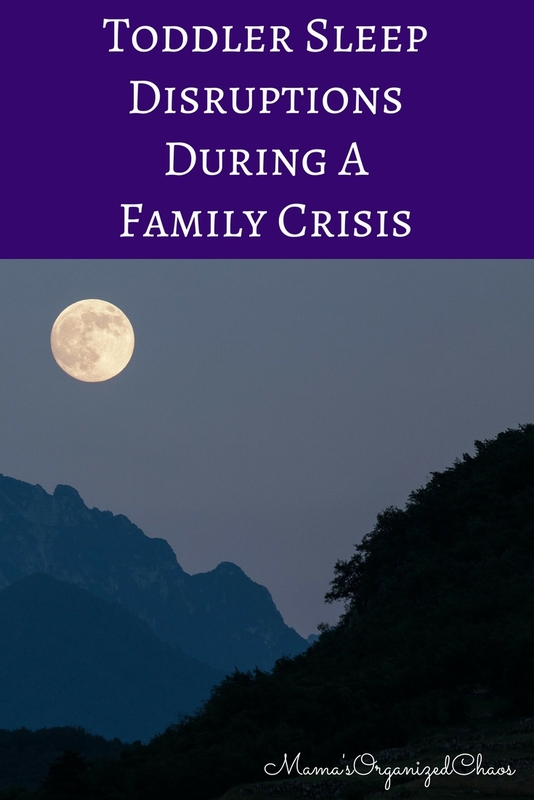 She asked questions, and we all started our grieving process together as a family. We were devastated. This is when the bedtime issues started. Then April (Caroline’s little sister) was born and died. The bedtime issues worsened dramatically. Now, 45 days after her death, we’ve seen our FIRST night with no tears, no calling for us, no screaming. And yes you read that right… 45 consecutive days of screaming and crying. It’s been brutal. Not to mention it’s on top of grief. Lots and lots of grief. Caroline calls us back into her room SO many times now. If we ignore her, it turns into a 2 hour screaming fit. If we go in and don’t give her what she wants, it turns into a 2 hour screaming fit. If we go in and give her what she wants, it turns into her calling us for more and more and more. I know…everyone is going to read this and say NOOOO don’t do that! I know. But when you’ve just come home from the hospital without your child’s little sister and she says she’s “sad about the baby”, you pretty much just want to take care of your toddler and make sure she isn’t experiencing too much grief. You don’t want to ignore a behavior that is triggered by grief. So we didn’t. We talked with her, we stayed in her room until she fell asleep, we held her extra, etc. Our almost 3 year old quickly caught on to the fact that if she mentioned she was “sad about the baby”, her parents were letting her stay up later and giving in to her every whim. She was smart enough to just start using it as a tool in her box to get us in the room. So we quickly got back to normal with our discipline and consequences and talking about expectations. We made sure to talk about emotions at a separate time. We certainly didn’t set out to try this as a tactic- it just naturally happened. I’m not proud of it. We were tired. We were frustrated, mad, irritated, sad- you name it we were feeling it. Caroline would call us, and we’d had enough. We were getting upset with her and yelling and just not being the best example. It obviously did no good. In the midst of our yelling and anger, we started taking things away so that we could have some sort of a consequence. There are not a whole lot of consequences to be had when dealing with bedtime issues with a 2 year old. I hated doing this, but sometimes it just happened to get a point across. After nights and nights of screaming and crying, we decided to see how long she could go and just go the extinction route. Well she won. She can last longer. The thing is, this just didn’t work for her. She gets herself SO worked up, that it’s actually impossible for her to calm herself down without help. We had to go in after 2 brutal hours. We just couldn’t last as long as she could, and she truly needed our help at that point. Caroline really responds to explanations. She likes to know why things are happening. When she’d call us over and over, we’d eventually go in, sit her down on the floor and TALK. Decent size talks about our expectations, what she needed to do, what she shouldn’t do, etc. We’d include lots of empathy, lots of love, and lots of assertive discussion. We’d have her repeat back what the expectations were. We definitely saw improvement with this, in that the calling for us started lasting less and less time. We started a marble collection just for bedtime. If she is quiet and goes to bed like a big girl, she earns a marble. If she earns 3 marbles, she gets something special. We’ve yet to get to three marbles, but it’s opened up great conversation, and really put the emphasis on good behavior, instead of focusing on the bad. In addition to not going to sleep easily, she’s started having nap issues. At naps we’ve implemented rest time instead. She often sleeps, but our rules have changed. She is now allowed to get out of bed to get a different book or stuffed animal, with the expectation that she get back into bed. We saw great results with naps, so we implemented this at bedtime as well. She’s also choosing to keep her radio on. She’s responding well to this, and it’s serving as a way to distract her while she has wind down time. I finally came up with a consequence that makes logical sense at bedtime. If you keep me up at night, Mama is tired. If I’m tired, I need to sleep in (that’s what we tell her). So for every minute of my time that you take away at bedtime (or in the middle of the night), I take it back in the morning. She’s mostly been responding to this in the middle of the night when she wakes. She clearly understands the direct relationship and lets me leave the room. I definitely don’t do a minute for minute trade, but I take a noticeable amount of time so that she is feeling the consequence. Tonight I tried the tactic of just asking her what else she needs before I left the room. Simple huh? She took full advantage. She wanted me to hold her, she wanted time to look out the window, she wanted she wanted she wanted. I did a couple of the things she asked, said no to others, but got all of her ideas out prior to me leaving the room. We addressed everything she could think of. I then reminded her she could read, and left the room. SHE WENT TO SLEEP WITHOUT A PEEP! I’m calling this a winning method at the moment (we’ll see if it continues). In order to address her waking in the middle of the night, we tried something new with naps. As explained above, since she was fighting naps anyway, we chose to change everything about nap time and call it rest time. Her clock is green now instead of blue. She is allowed to get in and out of bed for books or stuffed animals, and she can keep the radio on. Changing it to “rest time” instead of nap time is removing the struggle, and she’s back to napping again! On days that she doesn’t nap, she still does rest time very well, and she is going to bed at the usual time 7 pm. On days that she does nap, we are pushing bedtime out to 730 pm. This wasn’t a fix all, but it did seem to help a bit. In another attempt to stop her from waking in the middle of the night, we are trying the wake to sleep method. 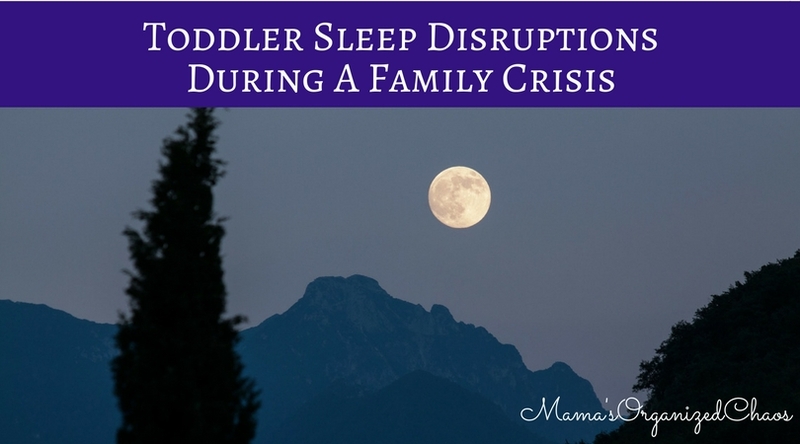 Basically, you are rousing your child just enough that you are disrupting their sleep cycle, and they start a new one. It helps them sleep through instead of waking up. I’ve done two nights of this, and on both nights she didn’t wake up! It’s a magical tool! So, this is one of those posts that is a troubleshooting post making note of a sleep regression. I certainly don’t have the answers on how to fix everything (obviously it’s gone on for 2 months now). But we’ve slowly made progress, and we’ve all learned a lot along the way. I write these posts because I want YOU to know that you are not alone. It may feel like you are the only one going through something like this. It may seem, when you read blogs like this, that all is picture perfect. It has always been my goal to keep it real. Things are far from perfect over here. They are wonderful- but not perfect. We have struggles just like everyone else. And this was/is a BIG one! 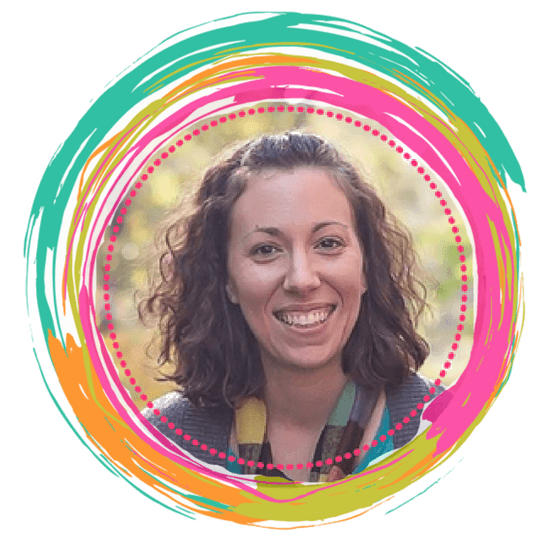 Our lives are perfectly imperfect, and I want to share all of that if it helps another mom feel less alone and perhaps even get some ideas of things to try. So, from one perfectly imperfect mama to another, hang in there, and you aren’t the only one that loses your cool!